It’s finished! 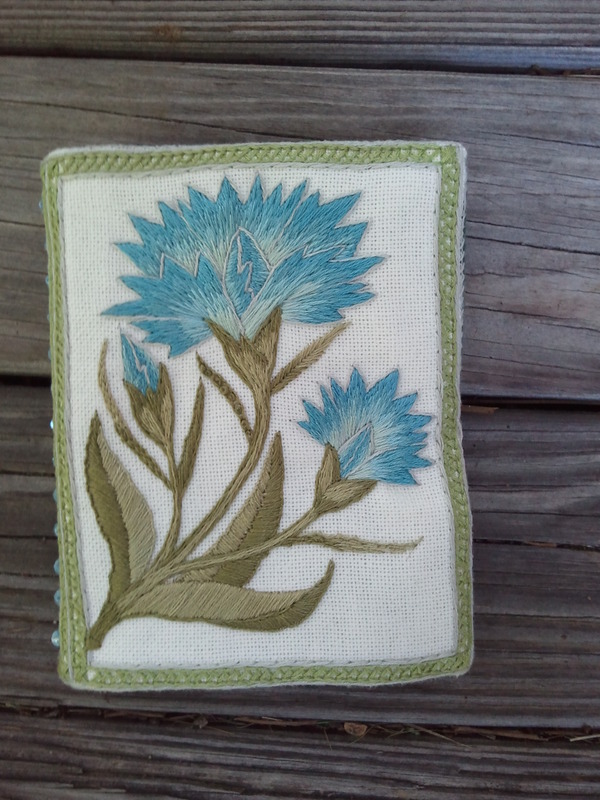 The carnation needlebook is loaded up with needles and ready to be tossed into an embroidery bag. 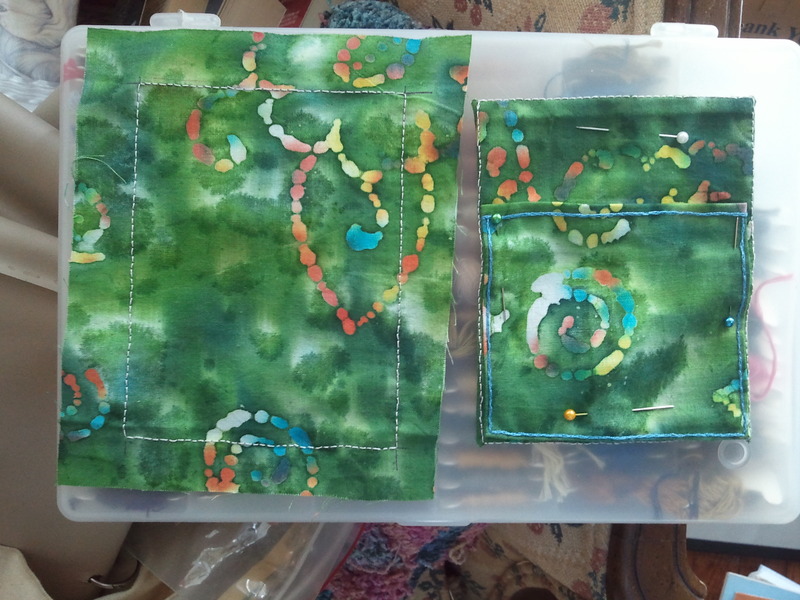 I was a little nervous about assembling the needlebook, but it ended up working well, with only a few missteps along the way. I sewed a button on the back cover and an elastic loop on the front for the closure. 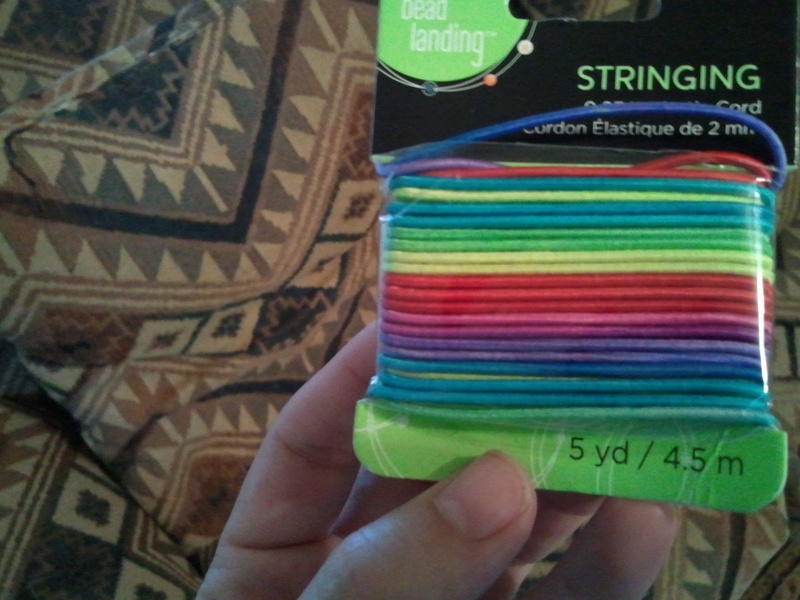 I found rainbow variegated elastic and cut off a section that matched the blue I used for the carnation petals. 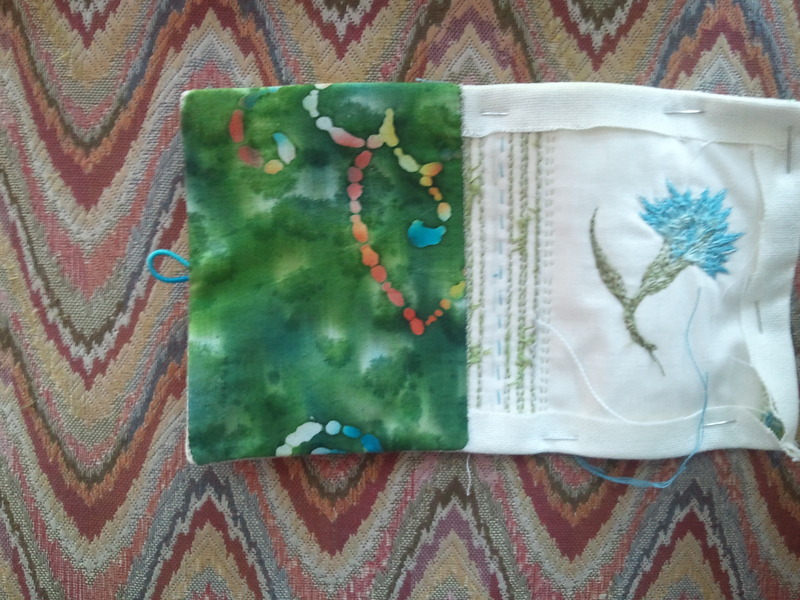 After cutting the loop, I ran thread around and through the cut ends to secure it, then sewed it to the excess fabric that would end up tucked inside the cover. There’s plenty left. If Rainbow Brite needs some kind of climbing gear, I’ve got her back. 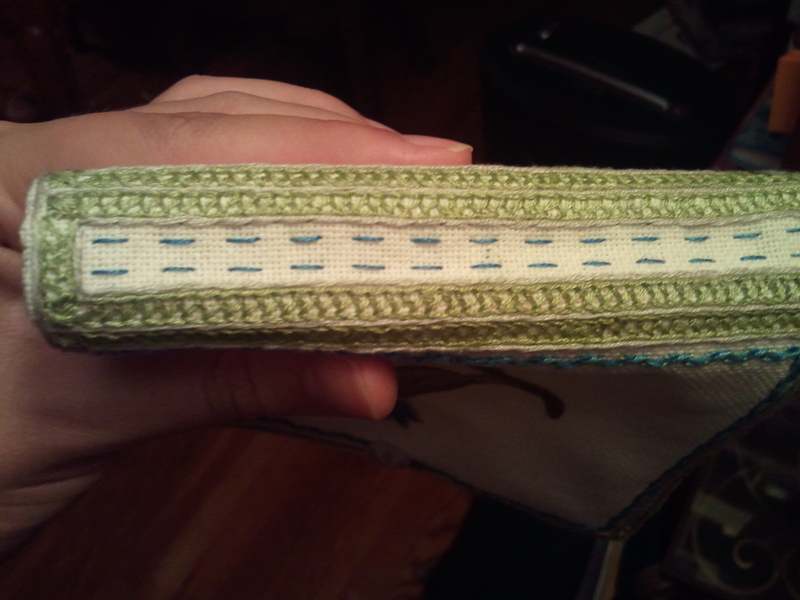 I chose a fabric that I liked, and backstitched rectangles the same size as the front and back covers. 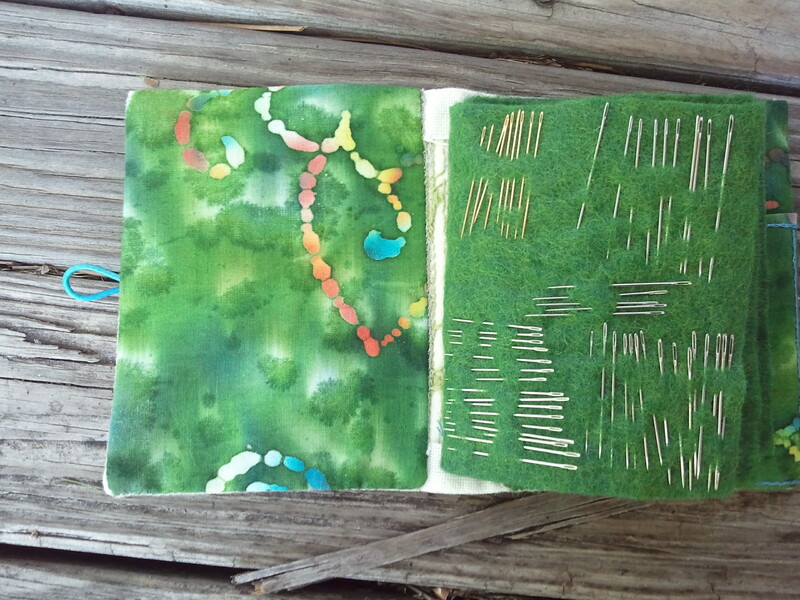 I also added a pocket to the back cover. 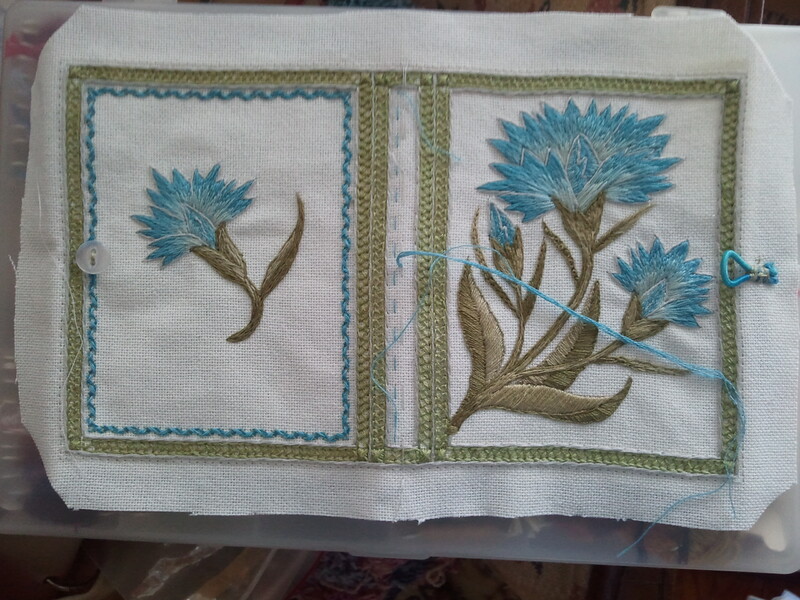 I cut the excess corner fabric off and started sewing backstitch lines to backstitch lines. 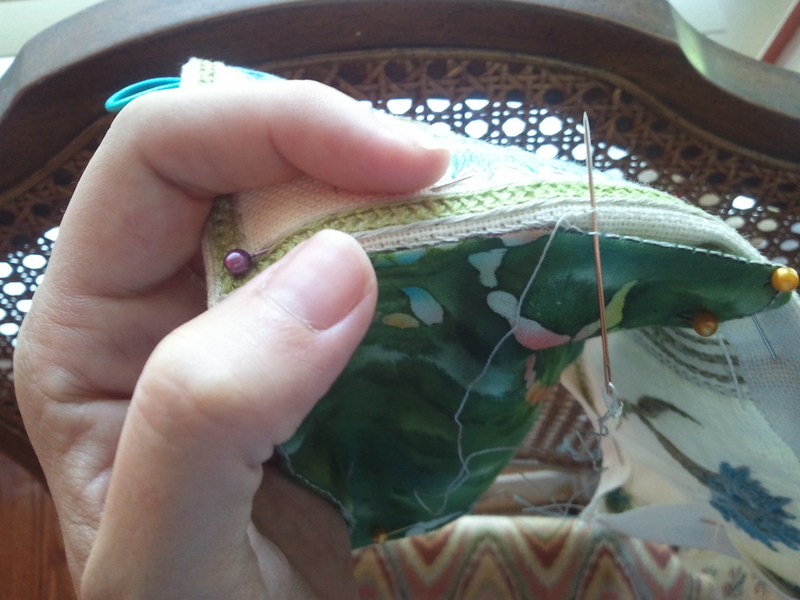 The seam required a little finagling around the elastic loop, but it worked out. 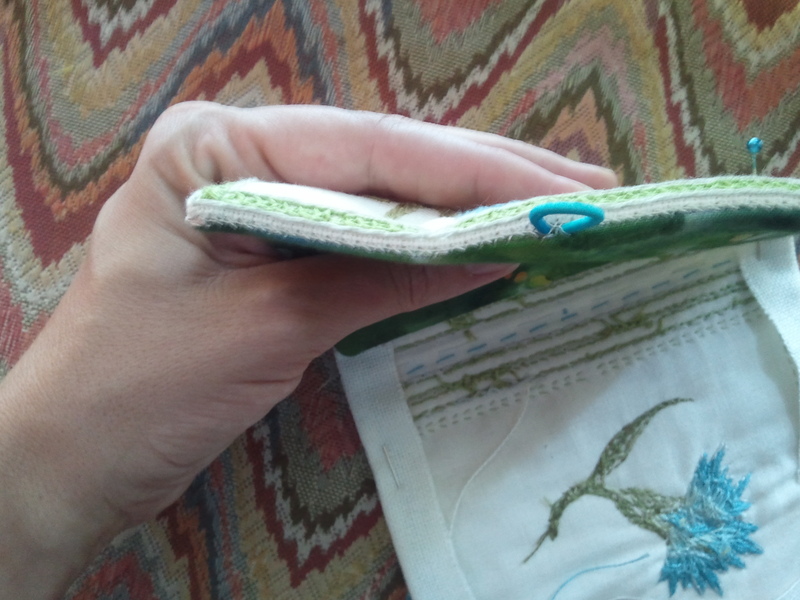 I also sewed the inner backstitch to the inside close to the needlebook’s spine so that it wouldn’t get caught on things or bother my completist neuroses. 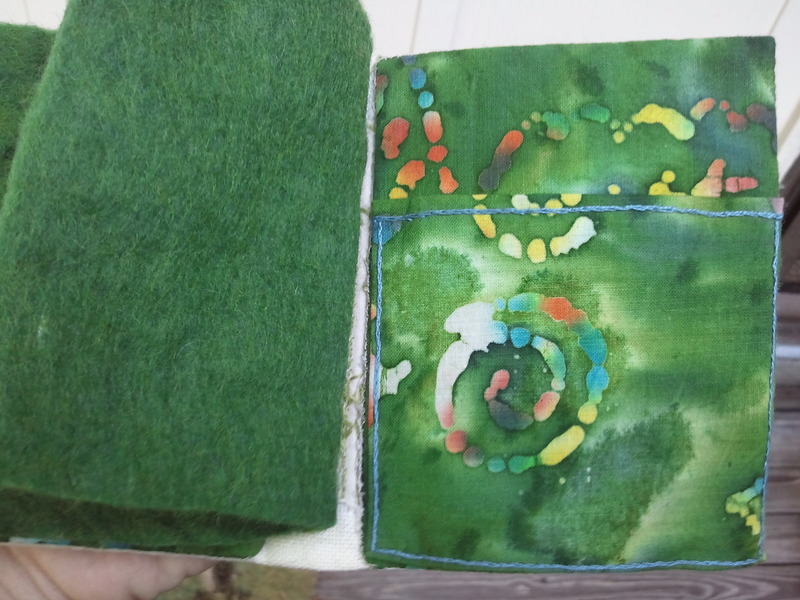 After the covers were sewn together, all that remained were the actual pages. 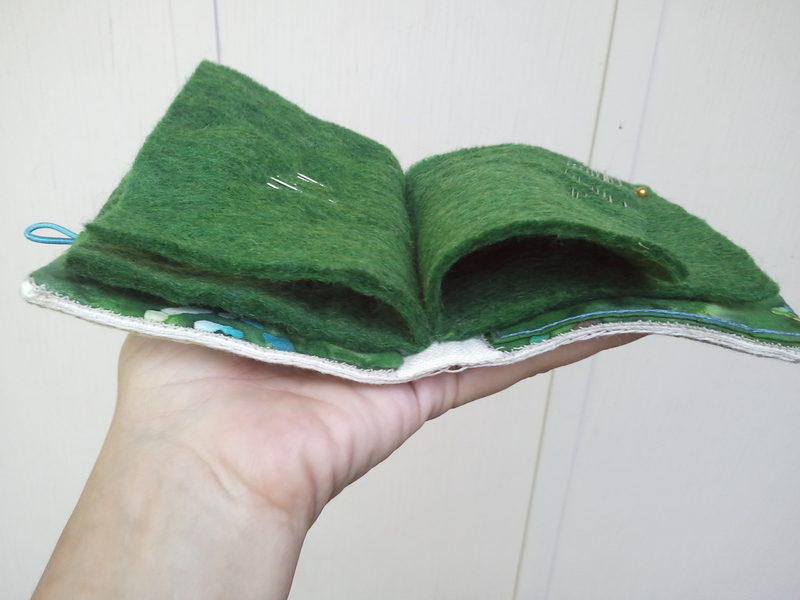 I used a very thick wool felt, which is why I made the spine fairly wide. 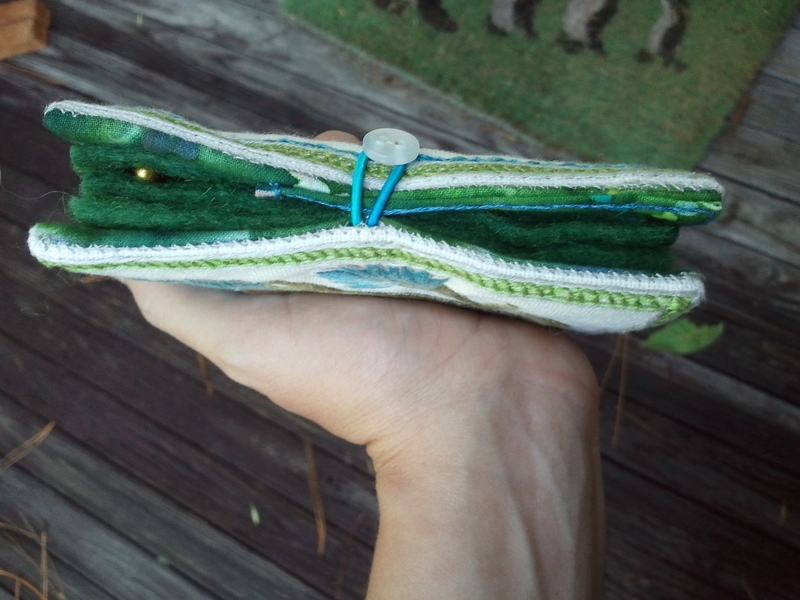 I had marked the center of the spine with waste thread, so I just tacked the felt pages down along that with running stitch. 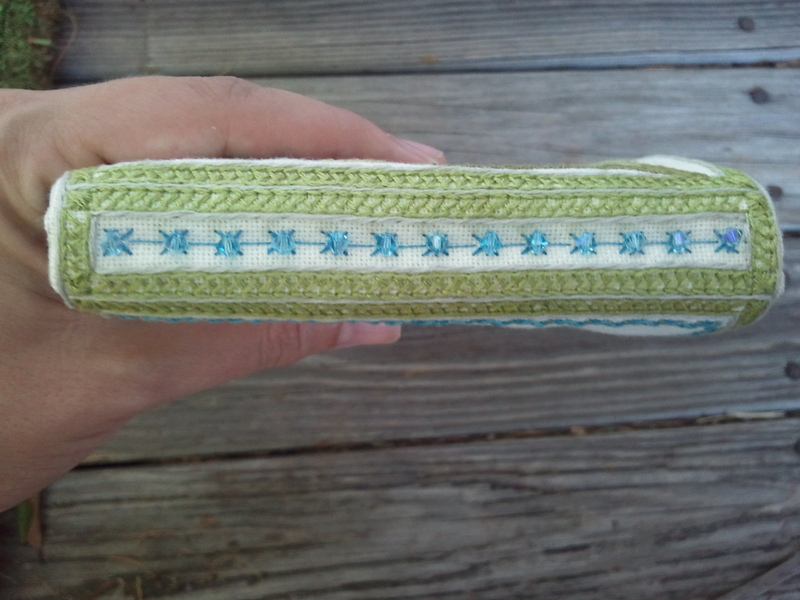 This was fairly utilitarian, so I added some decorative stitches and some beads to make the spine a little prettier. And that’s it! It’s ready to go. 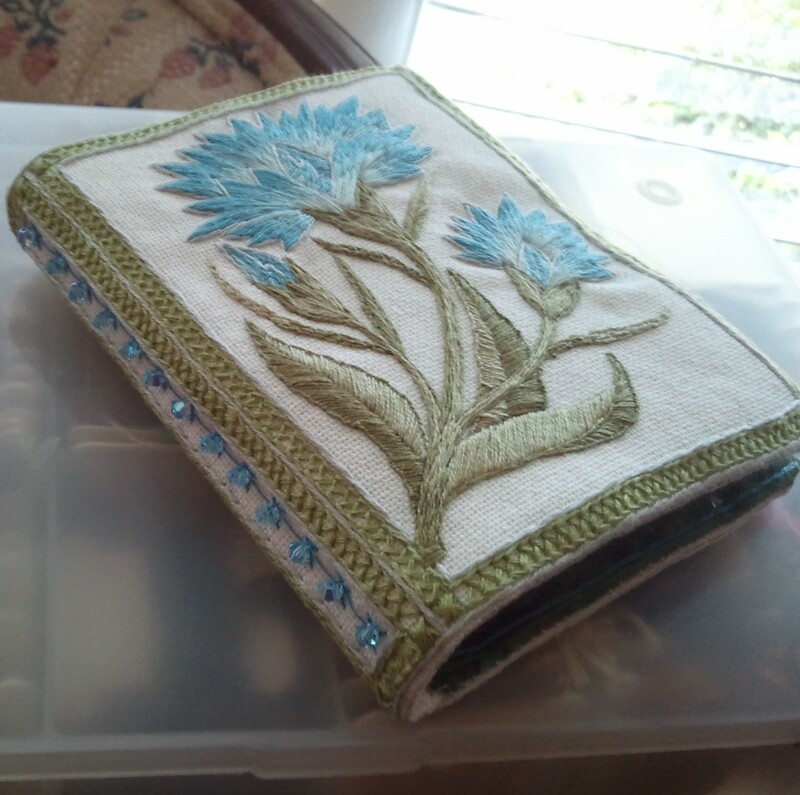 This entry was posted in Uncategorized and tagged carnation needlebook, embroidery, finishing, finshed work, flowers, needlebook, surface embroidery by Rene. Bookmark the permalink.